Content marketing is the cheapest way to generate leads for any business, let alone for real estate investors. Having a strong real estate investing content strategy will keep your business growing, your SEO on page one of Google, and bring in the cheapest leads. This real estate investing content strategy will go over how to repurpose your organic content for multiple platforms to get in front of the highest volume of your target audience possible. You read that right, we’re going to show you how to turn a single blog post into 15 different pieces of content to use. That way you’re going to spread your content through a variety of online platforms quickly and easily. Let’s get started! The best way to begin your real estate investing content strategy is with a blog. I mean, duh, right? 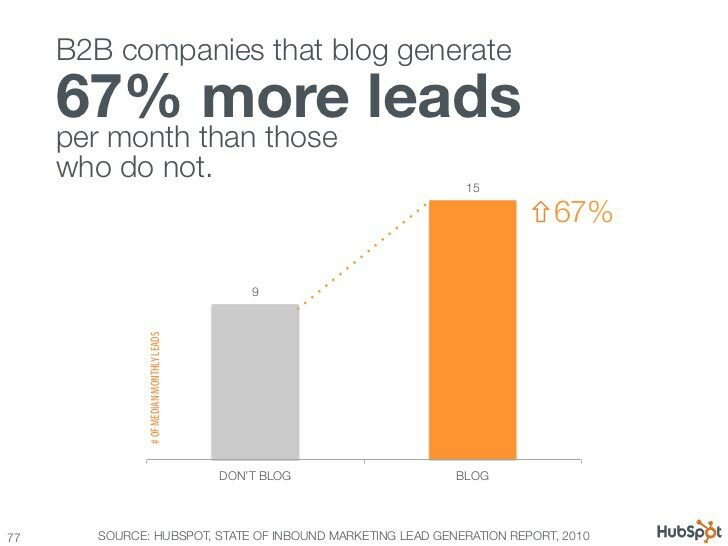 Remember that blogs are weighted really heavily when it comes to SEO. Every search engine result you see (except the paid ads) is – you guessed it – a blog post. Which is why the obvious starting point is with a strong blog full of content that your audience is actively seeking out. That might sound too simple, but believe us writing strong content articles can take a lot of time and practice. In fact SEO takes about 4 – 10 months to start seeing results. Which means, if you don’t already have strong article writing skills it’ll take you nearly a year to learn how to make your content better. When you’re writing articles for a highly specific (and highly competitive) market like real estate investing, you have to be targeting certain problems your audience has while offering your services as a solution. Without it looking like a sales pitch. And without the article having keyword spam (Google hates it). 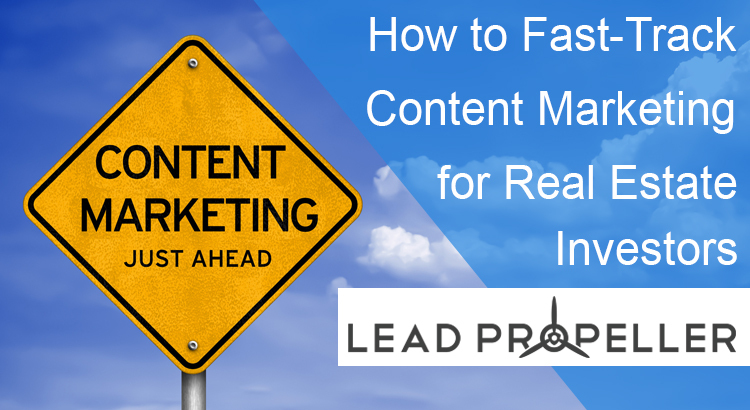 So, to better help your real estate investing content strategy, LeadPropeller has Content Packs for you! Ok, ok, quick aside and then we’ll get back to the content strategy. These Content Packs are specifically written and optimized for real estate investing audiences, no matter what type of investing you’re doing. These packs are also personalized to your business, target area, and come complete with your contact information. If you’re interested in seeing more about our Content Packs, check out this article about how useful and easy they are to use with your website! Now that you have blog posts and quality articles, you need to make sure you’re getting in front of your audience. You can always rely on the power of SEO, but again that will take at least half a year to start getting organic traffic. The more proactive way to get in front of your audience is through repurposing your blog posts for high traffic platforms. All of these platforms are free for users and are built to be optimized by businesses. Which means you have to use repurposing as part of your real estate investing content strategy if you want cheap, high quality leads. Growing an email list and using it to market is one strategy for promoting your services. Instead of directly emailing your services or promotions, think of this more like a newsletter to your audience. When someone visits your website it’s because they showed interest in something about your business. Either they were looking for someone to buy their house, to learn more about the process, to buy a house from you, or whatever specific real estate investing service you provide. Ideally, your website has an opt-in form that they fill out with their email or contact information. If someone fills out that form, but doesn’t continue with your services, don’t freak out. It’s not a lost lead yet. Because they showed interest, they’re a warm lead. You don’t want to scare them away by only emailing them with promotions of your services. If your website is optimized, they understand what service you provide. Another email won’t convince them about you. That’s where having a good real estate investing content strategy comes in handy when you’re using emails to promote your articles. These emails will each contain a summary of the corresponding article with a link to your website. Since you already know that they’re interested in selling a house without making repairs, these content articles are directly engaging their interests. Constant Contact found that: “61% of consumers enjoy receiving promotional emails weekly. 38% would like emails to come even more frequently.” If your audience wants more quality emails then give it to them! Email them your articles as they publish. You’ll be happy you did. Medium.com is great for repurposing your blog posts. Medium is a blog platform that’s owned by Twitter. This platform is specifically for blogs and articles only. This way you’re adding more to your real estate investing content strategy on a platform that people go to specifically to read articles. 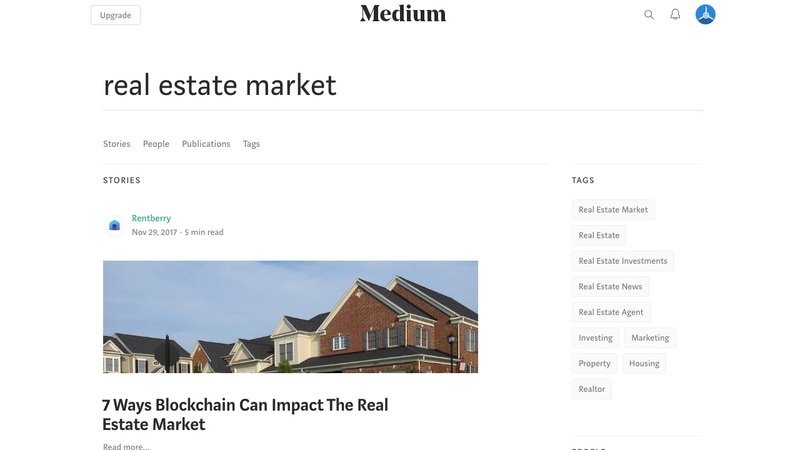 Plus, since it’s a Twitter property, Medium will automatically post a status on your business’s Twitter with a link to your new articles! “Sell Your House for Cash in San Diego” should be turned into “Why People in San Diego Are Selling Their Houses for Cash (And Why You Should Too)“. The second headline is more of a social grab and will get the attention of people who are interested in housing market trends in specific areas. These tags are high traffic tags on Medium, which means optimizing your articles with these tags will get it in front of more people on the platform. Don’t forget to have links to your website in the article so they can visit your business! BiggerPockets is an entire social media platform just for real estate investors, agents, and anyone in the industry. Since you’re at this article you probably already know what Bigger Pockets is, so we won’t go over it in detail here. 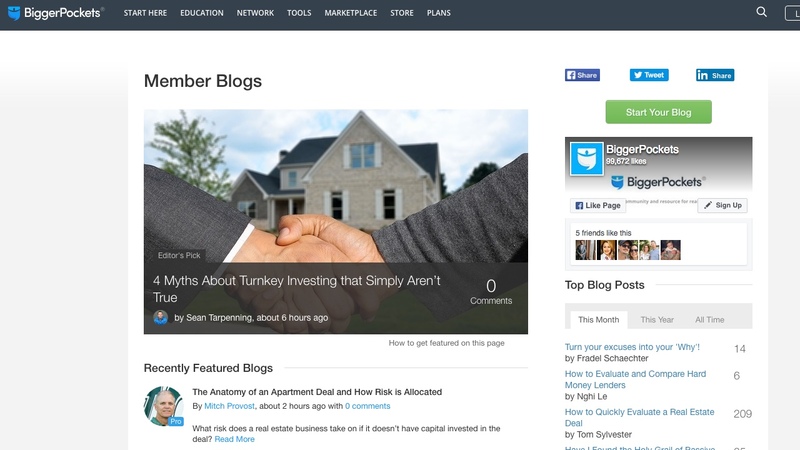 There is a feature on BiggerPockets where members can start a blog. You can’t directly promote your business on the blog, it’s more for networking and sharing information. If you’re a house flipper, this probably isn’t the platform for you. However, if you’re a wholesaler then a BiggerPockets blog might be a good fit for you. Your articles should cover subjects that other investors care about. Remember, BiggerPockets is for people already in the industry, not for people who are just trying to sell their house. Which is why your real estate investing content strategy on BiggerPockets needs to be focused on other investors. Make sure your content is engaging, insightful, and not directly promoting your business. BiggerPockets users will value you more if you’re genuinely helpful, not just trying to make connections like a sales man. Don’t just limit your real estate investing content strategy to blog posts. You need to expand that single article to other types of media such as: videos, shareable images, interactive quizzes, and so on. Below we’re going to go over each way to repurpose the content in your blog posts for social, shareable pieces of content. Every type of repurposing we’re talking about here is perfect for email campaigns, and to turn into paid ads (when you get to that point), as well as sharing on social media. Lumen5 is great! We love it. In fact, we’ve mentioned it before in our content marketing ideas article. If you don’t have an on-staff content producer for your real estate investing business, then you’re probably not making video social content. That’s fine, we understand how time consuming that can be. That’s why Lumen5 is such a great tool. 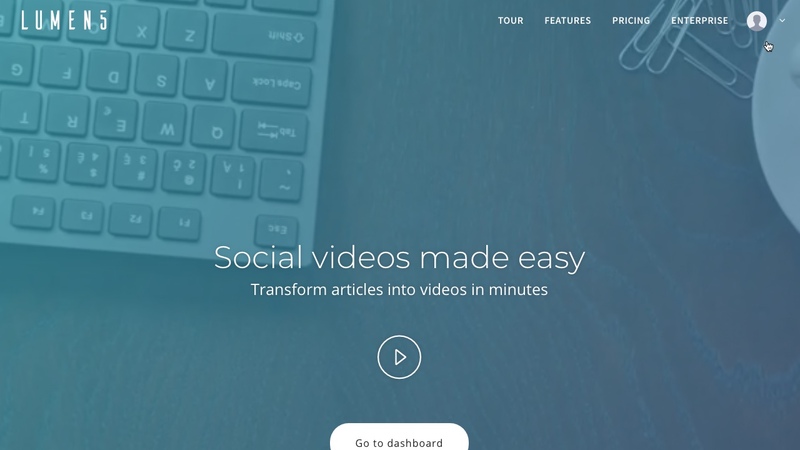 The videos that come out of Lumen5 are specifically made for SEO and social sharing. When you log in and click on “Create a Video” all you do is copy and paste the URL for the blog post of your choosing and bam! Instant video. Once you’ve been using Lumen for a while they’ll start to automatically make custom videos from your blog content. And the best part? It’s free! There is a paid plan you can use, but for the most part the features you’re going to need are all offered for free. Videos are super high converting for social media. Forbes found that Facebook along generates 8 billion video views on an average day. That alone should be enough to convince you to add Lumen5 to your real estate investing content strategy. If you don’t have the time to produce your own videos, Lumen5 is definitely the way to go! 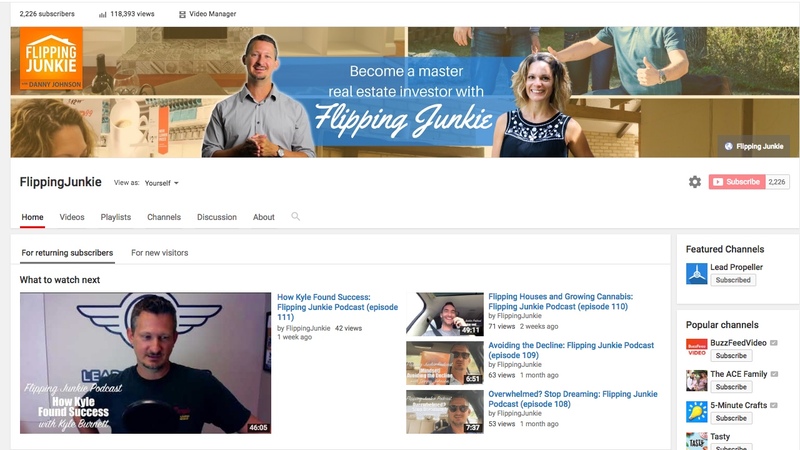 Our last article covered how to make a successful YouTube channel for real estate investors. If you want to be featured on one of the most popular social media platforms, check out that article. Since we had another article all about YouTube content strategies, we won’t talk about it much here. Let’s do a quick overview! Your Lumen5 videos are perfect to post to your YouTube channel, but they shouldn’t be your only content there. YouTube is a great way to build your brand as part of your real estate investing content strategy, but you can also run video ads on YouTube. Running ads on YouTube, as well as making organic content, will boost your content marketing strategy. Remember, this type of content is great to use in promotions too. Don’t just post on social media platforms, send it in emails as well! Just like our YouTube strategy guide, we have an Instagram lead generating strategy guide for real estate investors, so we won’t take too long with this one either. Instagram has 300 million users daily, so there’s definitely an audience there. Much like YouTube, Instagram is a great platform for organic content as well as paid ads. However, your paid ads have to come from your business’s Facebook account since Instagram is a Facebook property. 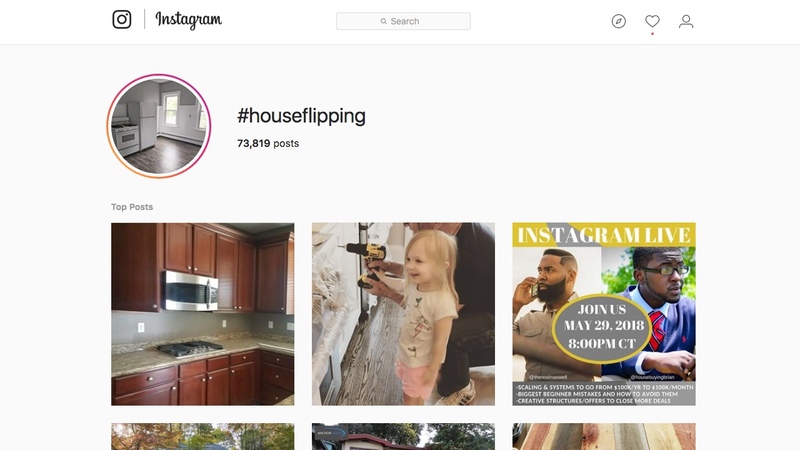 As part of your real estate investing content strategy, Instagram organic content is perfect for brand building and humanizing your business. Be authentic (that’s the point of social media). That means your profile posts can’t be ads, and really shouldn’t be tock photos. Show pictures of your properties! Take quick walkthrough videos. Post happy clients. Make yourself look like a real person, not a brand. Pinterest is all about visually engaging people and encouraging them to go to your blog posts or website. 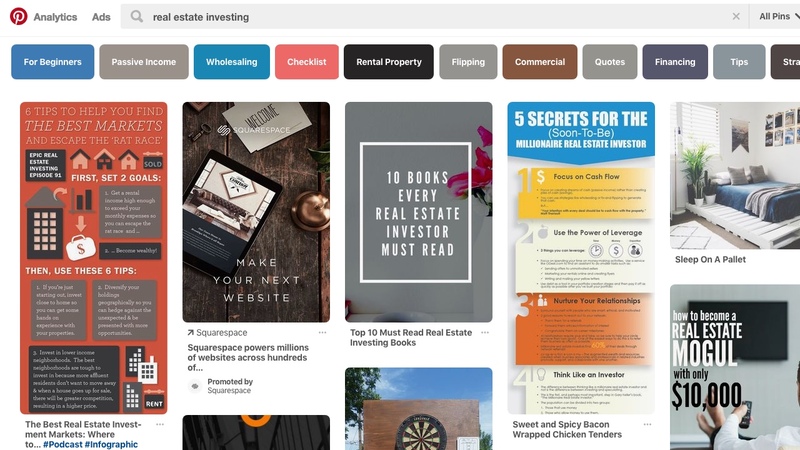 Pinterest’s best feature is the linking between specific pages on your website per picture you post, making it a great traffic addition to your real estate investing content strategy. The graphics people use on Pinterest range from infographics, to quick summaries of pages, to blog featured images. You don’t have to be a graphic designer to make great content for Pinterest. We use a mix of Adobe Creative Suites and Canva. We’ve mentioned Canva in the past. It’s great for people who aren’t graphic design artists. There are lots of templates you can choose and customize, including infographics and Pinterest images. As far as making the design for your image goes, make sure it’s engaging and covers the information that your article goes over. When you post to Pinterest copy and paste the URL for the article you’re driving traffic to. Don’t forget to add that post to a specific pin board. Just like playlists in YouTube, pin boards help your followers find categorized content. Of course there are lots of other platforms to post your repurposed content to. In the sake of keeping this article under 3000 words, we’re only going over the big ones. Once you have your real estate investing content strategy and a library of repurposed content, you need to make sure it stays fresh and in front of your target audience. You’ll see a spike in traffic to your latest blog posts the day, or next few days, after it’s published. However, you’ll also see a drop off because it’s no longer getting in front of people as a “fresh” piece of content. How do you fix this? Scheduling your content to stay in front of an audience on different social media platforms is the best way to keep your audience engaged. Let’s talk about our two preferred scheduling tools! Let’s be real, posting to social media takes up a lot of time that you should be devoting to your real estate investing business. You don’t have the time to sit on Facebook, Twitter, and Instagram and update everyone on what your business is doing. In addition to having content libraries, you can schedule when posts go live on what platforms. It makes posting to social media so much easier! 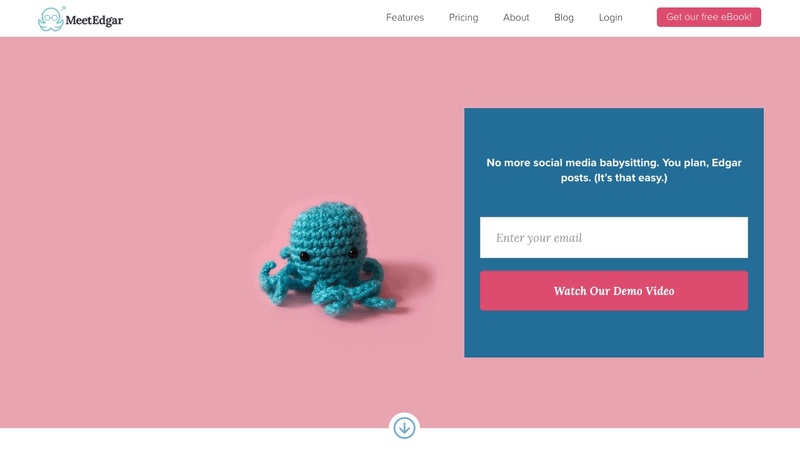 We still write all of our social posts, but we don’t have to worry about logging on to make sure we’re still getting in front of our social audiences. If you haven’t checked out MeetEdgar yet, you need to. This social scheduling platform makes your real estate investing content strategy a breeze while still making sure your material is fresh and in front of your audience. 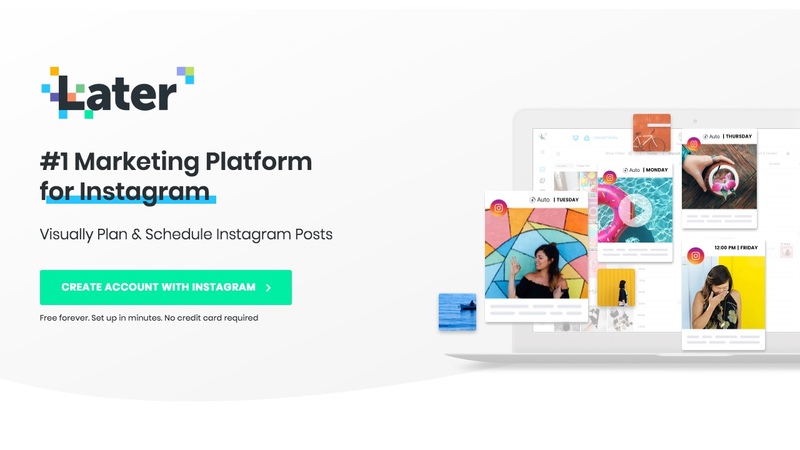 Just like MeetEdgar, Later is specifically for scheduling content to be posted on Instagram and Pinterest. It’s such a breeze. As you know from our Instagram marketing article, this is a mobile only posting platform. Which…is really inconvenient. The best times to post on Instagram are, unfortunately, during the week in the middle of the day. Let’s be honest, you can’t stop what you’re doing at peek times of the day to make sure you’re posting on Instagram. You’re busy. We get that. That’s where Later comes in handy. You build your content library, write the posts, and schedule it for the day and time you want it to be posted. We suggest posting at least once a day with no less than 7 hashtags per post. That will make sure you’re getting in front of the best audience you can for your real estate investing business. Once it’s scheduled and set to automatically published, your real estate investing content strategy will be a breeze. Wow. That was…a lot. This is definitely one of our skyscraper posts that covers, well, a lot. If you still like getting these all-inclusive strategy guides then let us know in the comments! We love hearing feedback from you to make sure we’re still giving you content that you find useful. In addition to this intensive real estate investing content strategy, we also offer free training for online lead generation. Content marketing is great, low-cost, lead generation for real estate investors but there’s so much more you can be doing. Check out our free training by clicking the button below to reserve your spot! You won’t be sorry. We cover the best (and cheapest) ways to generate high quality leads specifically for real estate investing so you can dominate your local area. Check it out!